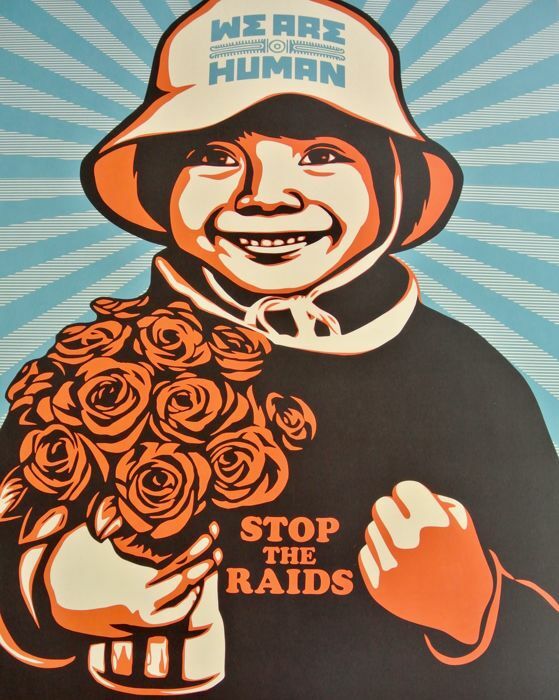 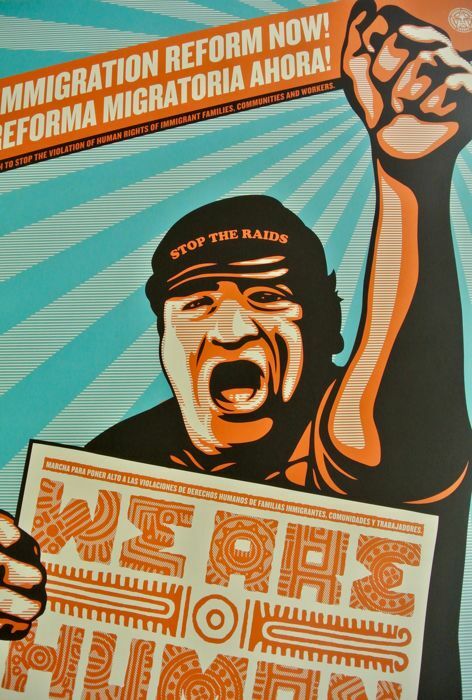 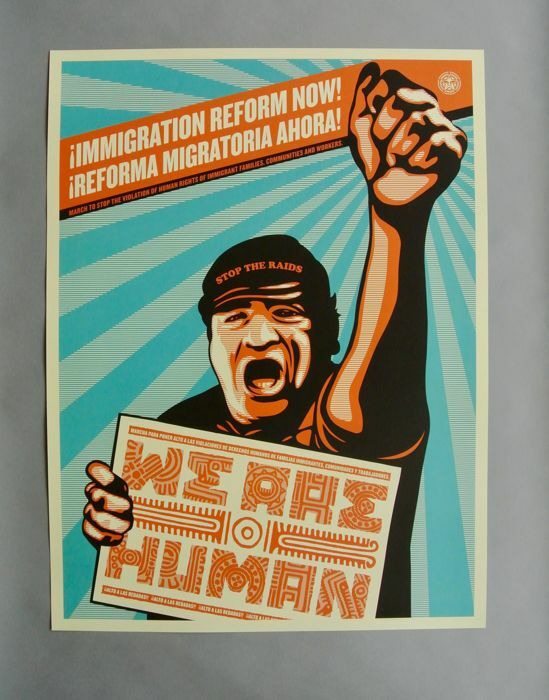 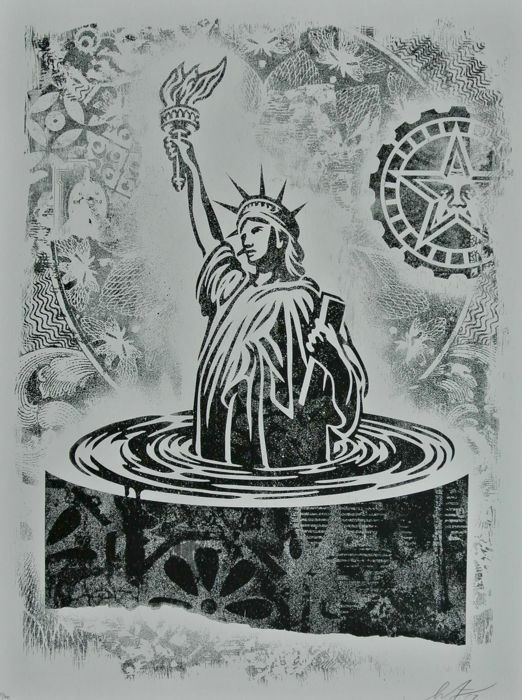 Bonus: Winning bidder will also receive an official Immigration Reform Now protest double-sided poster created by Shepard Fairey & Ernesto Yerena for recent anti-trump immigration policy marches. 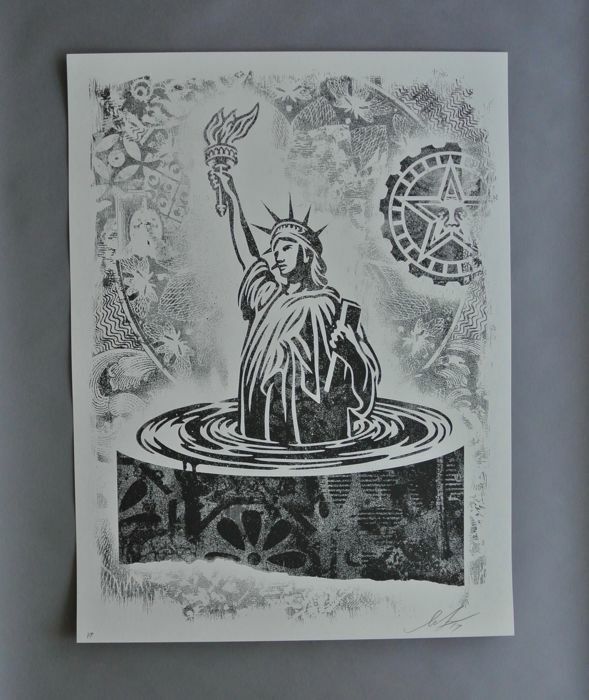 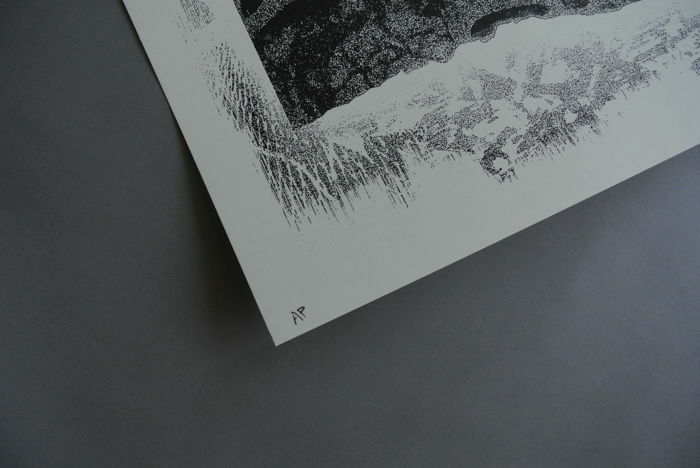 The unsigned poster measures 45 x 60 CM, offset printed on card stock and is in excellent condition. 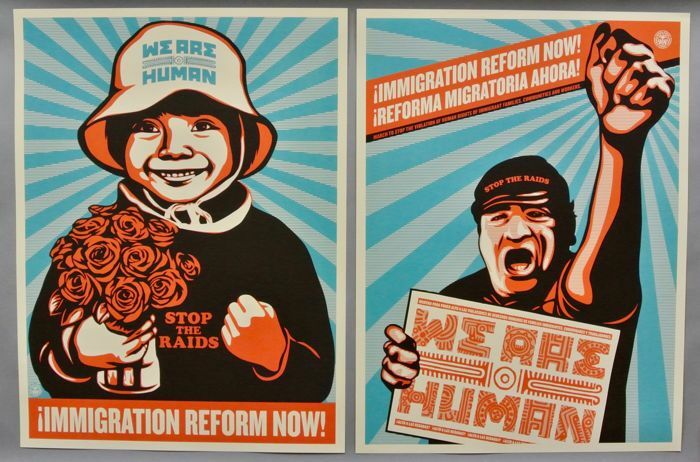 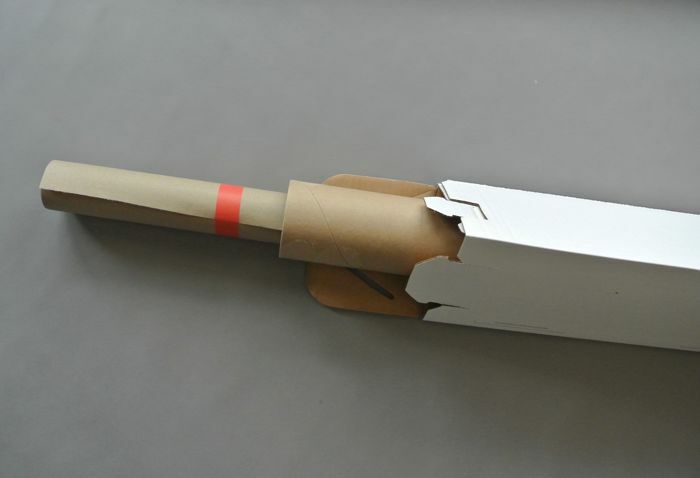 One poster - shown front and back. 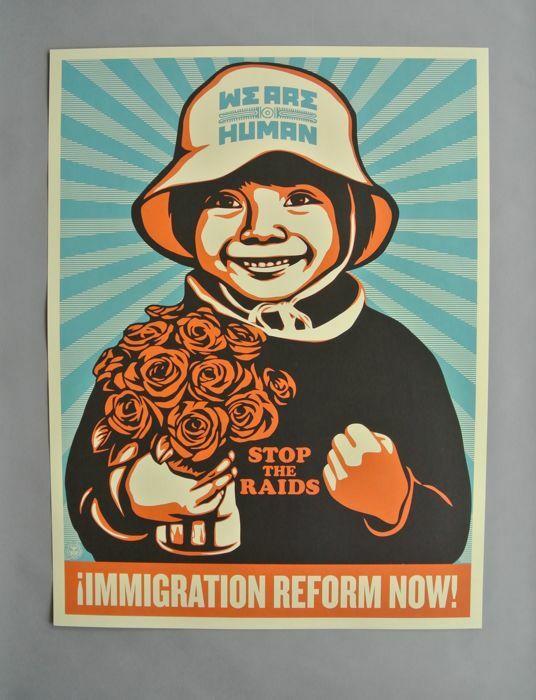 Get three of Fairey's immigration images with one bid.